The devil comes to town this October when "Demons," written, directed and starring Miles Doleac, hits theaters and VOD from Uncork’d Entertainment. 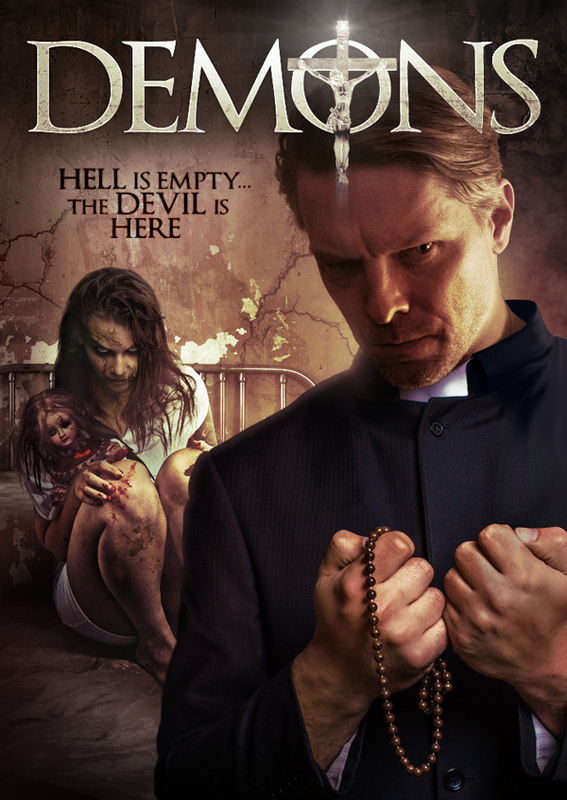 A psychological thriller that marries elements of The Exorcist, The Shining and The Big Chill, "Demons" tells of a celebrated fiction writer and former priest (Doleac, “American Horror Story”, The Hollow) who, along with his wife, are tormented by the ghost of her late sister, as the details of her grisly death are slowly uncovered. Andrew Divoff (Wishmaster), John Schneider (‘’Smallville’’), Lindsay Anne Willams (The Hollow), Steven Brand (Hellraiser : Revelations), Kristina Emerson (“NCIS : New Orleans”) and Gary Grubbs (Free State of Jones) co-star star in a powerful goosebump-stirring new spookfest from Historia Films, the makers of The Hollow and The Historian. Eight years ago, Father Colin Hampstead oversaw an aborted exorcism that resulted in the gruesome death of seventeen-year-old Jewel Grant, in rural Louisiana. The deceased girl’s older sister, Kayleigh, grew immediately attached to Hampstead and sought him out, at first for grief counseling and then, for much more. Eight years later, Hampstead has left the priesthood and become a celebrated fiction writer, specializing in stories about the occult, and he and Kayleigh, now his wife, have a beautiful daughter and run a well-known bed and breakfast in Savannah, GA. When the couple agrees to host a wedding for one of Colin’s college friends, what begins as a Big Chill-type reunion turns into something much more macabre, as the seemingly omnipresent ghost of her dead sister Jewel compels Kayleigh to engage in bizarre, destructive behaviors that endanger the lives of both her friends and herself.